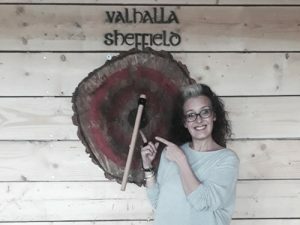 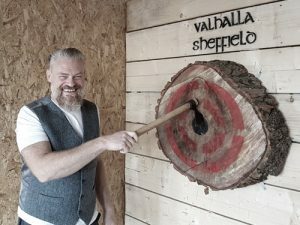 There’s nothing quite like the sound as an axe thunks into a target to unleash your inner Viking! 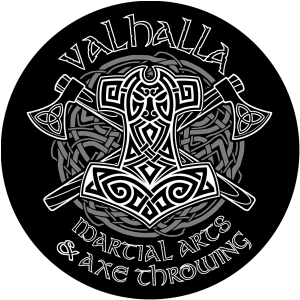 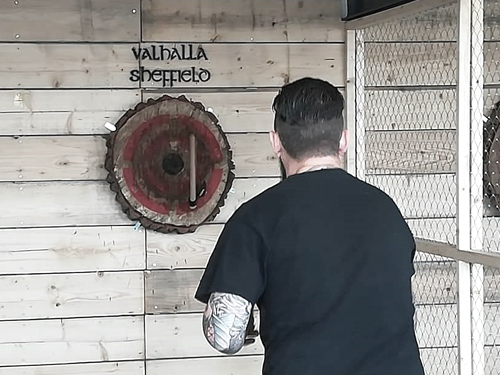 With Valhalla Axe Throwing you’ll get to do just that. 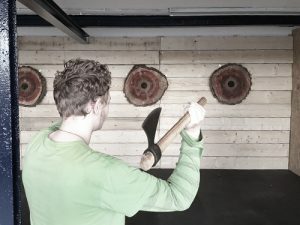 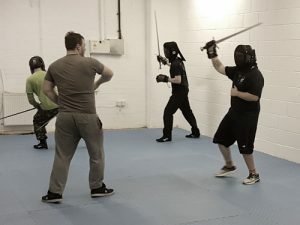 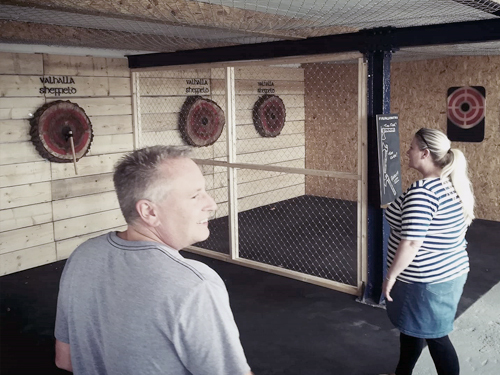 Throwing axes is a great way to celebrate that special occasion, bond as a team or just have some fun. 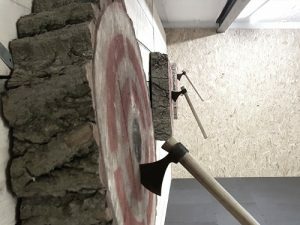 Think a cross between archery and darts, but with axes! 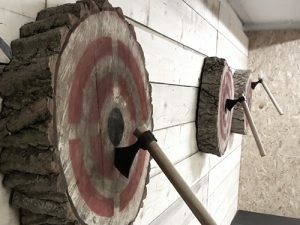 At our indoor range, our instructors will have you sinking axe blades into the wooden rounds in no time. 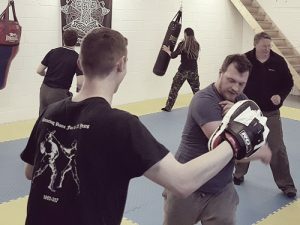 It’s not a question of strength, but a matter of skill.